Completed his Residency at the State University of New York at Brooklyn, Brooklyn, NY and continued onto his fellowship in Hematology and Oncology at New York Medical College, Westchester Medical Center, Valhalla, NY. He is Board certified in Internal Medicine, Hematology and Medical Oncology. He is affiliated with Vassar Brothers Medical Center, St. Francis Hospital and Putnam Hospital Center in New York. He has written and published over 30 articles in scientific journals and a chapter in a medical textbook. Dr. Kancherla was an Assistant Professor at New York Medical College and was Associate Director of Hematology and Oncology Fellowship training Program at New York Medical College. He was the Director of the Autologous Stem Cell and Transplant Program at New York Medical College, Valhalla, NY where he performed a few hundred stem cell transplants. 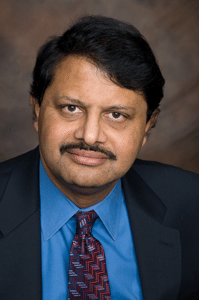 Currently, Dr. Kancherla is the Director of Education and Research at Vassar Brothers Medical Center and is the Chairman of Hematology and Oncology at St. Francis Hospital in Poughkeepsie, NY. He is the Managing Partner for Hudson Valley Hematology Oncology Associates, Poughkeepsie, NY.